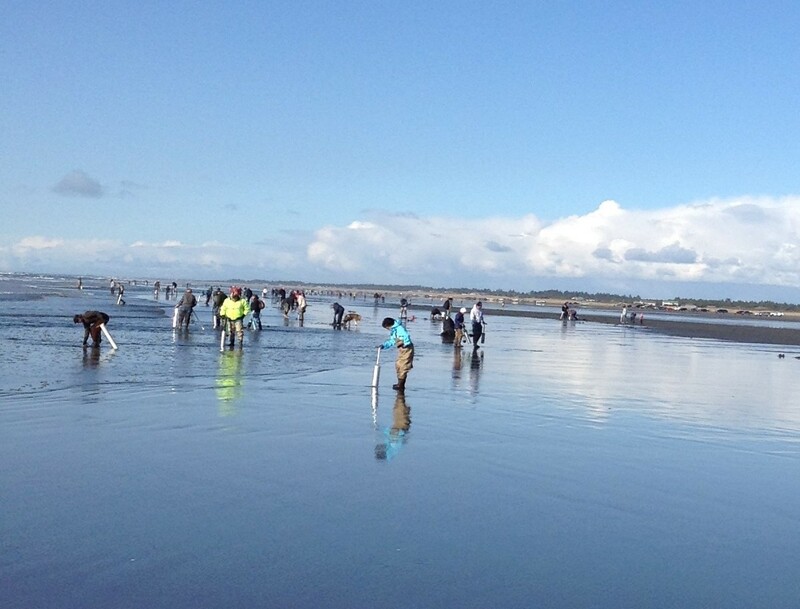 With many areas are open for Razor Clam digging up and down the Grays Harbor coastline in either the spring or fall. 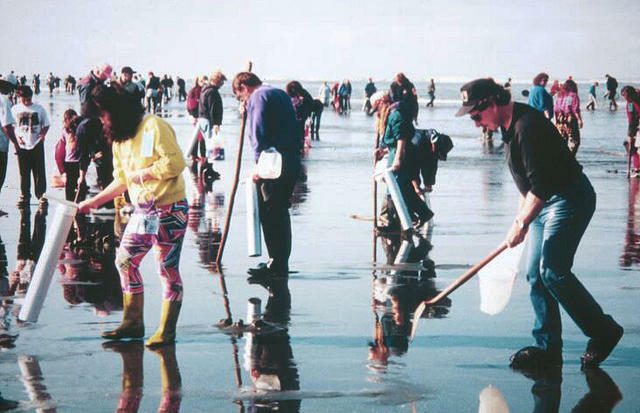 There are many opportunities available for digging fresh razor clams. 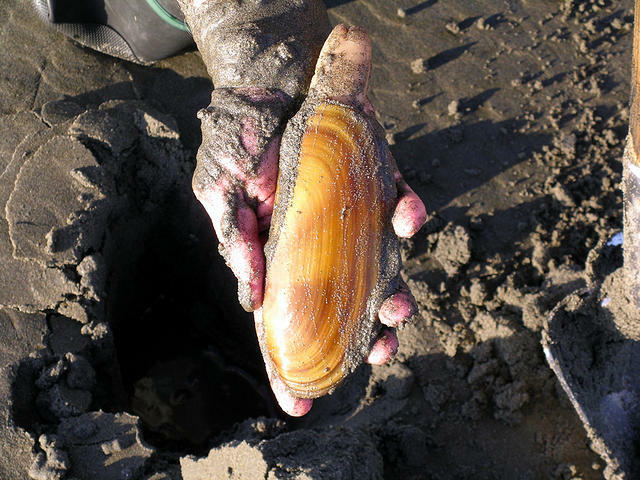 Unlike steamer clams, razor clams are very popular in the Grays Harbor area, due to their flavor and high amount of edible meat. This is a great activity for the whole family. 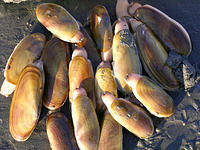 They can be found from Alaska to California but the Washington coast is considered a hot spot for razor clams. There are scheduled digs in both the spring and fall. Morning digs are in the spring and night digs are in the fall. This truly is a fun for all ages’ activity so bring the family and enjoy a day on the beach. Digging is done during low tides in the spring and fall. 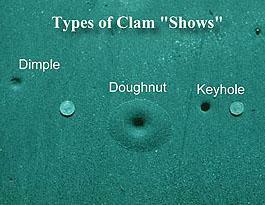 and requires a license, a clam gun or shovel and a net or bucket to keep your clams in. Limits and seasons are set by the Washington State Department of Fish and wildlife. So before going down to dig check with the Washington Department of Fish and Wildlife (WDFW) for seasons, limits, regulations and licensing information. 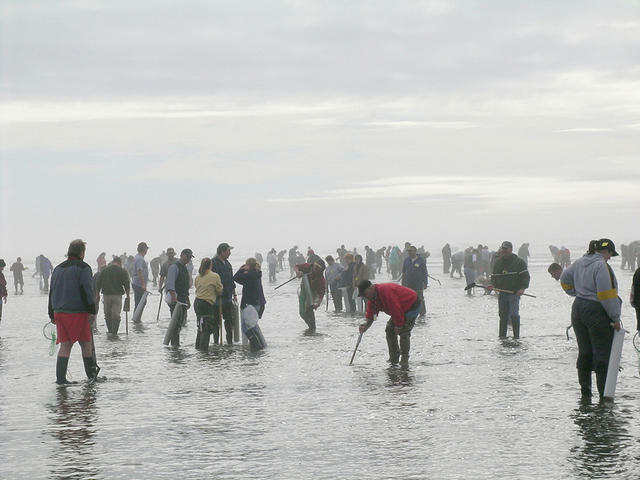 Razor Clam digging can be extremely rewarding or extremely disappointing for diggers as various factors determine whether you limit out or walk away empty-handed. Remember digging takes a lot of patience. Be aware of the time of the low tide and for the best digging chance of limiting, get to the beach two hours before the tide is at its lowest. This ensures you the tide will continue going out while you dig once it turns the waves are chasing you away from the best clam beds stormy conditions make it harder to see clam holes to dig. Dress warm and be sure to wear boots to keep your feet dry. Dimple a simple indention in the sand. Doughnut Hole a whole with 2 to 3 inches of sand built up around it like a crater in a mountain. Keyhole shaped like an hourglass with the neck of the clam showing. Regardless of the size or shape of the whole all clams dug must be retained. Surf finding razor clams in the surf as the waves come in and out. Dry on the sand above the water usually deeper to dig. the clam gun or shovel. The guns are easier to use in the wet to medium wet sand. Shovels were better in the surf or on the beds. Be careful as the shells can be quite sharp you might consider wearing gloves to reach in and pull the clams out of the whole. Razor clams are some of the best eating in the Pacific Northwest and perhaps in the world. Like other shellfish, razor clams should be cooked and not eaten raw. In addition ,they must be cleaned before cooking. Cleaning is a fairly simple process and you end up with using almost the entire clam ready to cook. For more detailed instructions click here. 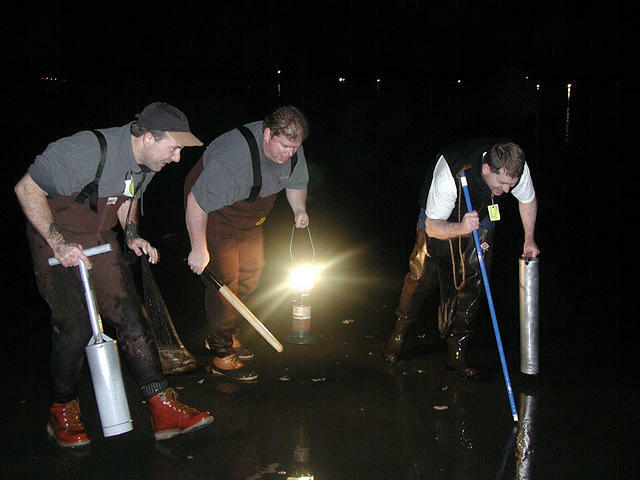 The season runs from October to May and dig dates are announced by Washington Department of Fish and Wildlife. Usually they are over the weekend and either morning or evening digs depending on the time of year. With evening tides a lantern or a light of some sort is needed. A light that straps around your head works great as it keeps both hands free while razor clam digging.